It is so hot! Just the thought of turning on my oven makes me and my air conditioning cringe...Unfortunately, I love bread. A LOT. And I would turn my oven on for some great homemade rolls (and cookies, I would turn it on for cookies). Then I saw a brilliant post by Artisan Bread in Five on making rolls in a crock pot. Since I have three crock pots, I figured I could spare one to try this. I was doubtful about cooking bread in a crock pot, I won't lie. I saw an idea for herb rolls, and thought "Ohhhhh that sounds good, I need those, and I need them like right now." Sadly, they posted the method, but not the recipe for the bread, since it was published in a book they want you to get, so I understand not giving away all the recipes. I would buy the book if I had the money, believe me. I told my husband my dilemma, and he responds "then make your own recipe!" So that's what I did. I used the five minute no knead bread from The Italian Dish that I blogged about a while ago here as a base, and made the changes below. I didn't even let it sit in the fridge, I only let it sit out two hours on the counter (which it can be used any time after the two hour period), and got right to making them. It was hard to wait that two hours even. I made the rest the next day, yum! These rolls come out lighter than air. Seriously, they are so light and fluffy I wasn't sure they were cooked because when touched the top, they didn't spring back. It was really just because they rise so much in the crock pot they turn in to a soft, pillow-y roll of herby goodness. In a large bowl mix water, yeast, salt, diastatic malt powder (optional), basil, oregano, thyme, rosemary, and sage. Add the all purpose flour and the whole wheat flour and mix well, until it forms into a ball and all the flour is moistened, about a minute. (Add more water if it is too dry, add more flour if it is way to wet, it is a very sticky dough though.) Refer to this post here for more information on what it should look like. Let sit on the counter, loosely covered for 2 hours, it will rise a bunch, don't worry about it. Once it has sat for two hours, it is ready to be used, or you can loosely cover it and store it in the fridge for up to 2 weeks, and use it as needed for fresh bread any day. In a large (5-6 qt.) crock pot, line with parchment paper, and then sprinkle the parchment with corn meal. Pull of 2 oz. piece of dough and roll into smooth balls. Place up to 8 in the crock pot. The remainder or the dough can be refrigerated for up to two weeks. Cover the crock pot and turn on high for an hour. This is where the magic happens. As the crock pot heats up, it will also proof the rolls, they should get quite puffy and fill the bottom. 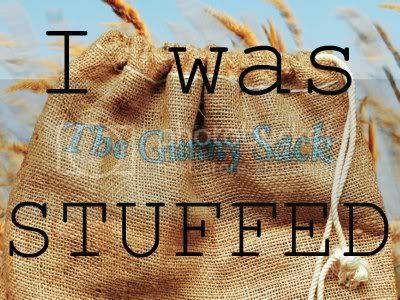 After an hour to an hour and fifteen minutes, check on rolls. They will be very soft on the top, but not tacky or uncooked feeling. Remove the rolls along with the parchment (don't take them off the paper) from crock pot. Brush with olive oil and sprinkle with garlic salt. To brown the tops: Turn the oven to 450 degrees (I know, it will heat the house up a little bit, but not as long as cooking them the whole time in there), and place rolls and parchment in for 5-10 minutes until the top is firm and browned nicely. 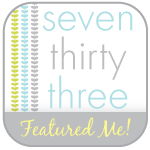 I just fell in love with my crock pot and my readers love theirs too. 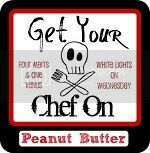 I'd love if you could link to THURSDAY FOOD FEST. I open Wed at 7 pm. I'm at http://www.theeaseoffreeze.com. Hope to see you! I would love to, thank you for the invite. 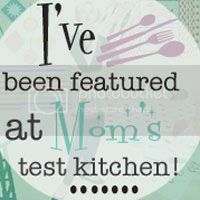 Please join my link party and share your great ideas as well at http://mommyssweetconfessions.blogspot.com/2012/08/sweet-confessions-sunday-link-party-2.html . See you there! They are so light and airy it is unbelievable, definitely a must try! Wow! This is new to me and I can't wait to try. It was 115 yesterday so rolls in the oven are a few months away. Thank you for sharing, I found you at the link up. I am totally going to make these. I love rolls! this recipe sounds wonderful. Saw it on on Food for Friday. We will also be having a linky party that starts up later this evening and would love if you linked this recipe up (so that I have it on my page and easy to get to ~~ hint! hint!). the linky party is Foodie Friends Friday and goes until Sunday morning. I see that you took my hint. Thanks for sharing on Foodie Friends Friday..now I have no excuse not to make it. This sounds great! I love rosemary. I can't wait to give these a try! Thanks for sharing. i cant wait to try this. I am dying of oven heat as well, so I could really use some great crockpot recipes. CONGRATULATIONS!!! 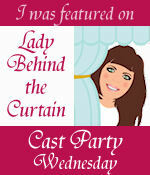 Your recipe is on Today's Feature Post from Cast Party Wednesday! Thank You for sharing your recipe with us! um wait - WHAT?! rolls, in the crock pot? are you kidding me? you're a genius, and also, i want to come live with you, ok? :) pinning this! Hahahaha! I wish I was the genius that thought of it. I can only take credit for the herb mix in the rolls though :) Thanks for pinning! This sounds like something even I could make! Thanks for linking up, I just pinned this idea! My hubby loves all kinds of yeast breads, but I've never heard of them being made in the crockpot (my kind of cooking)! I'm gonna try this and surprise him! Sounds delish! I'm going to make these next time I have company in town. I just got into bread baking!